While my lovely, and politically savvy wife is out of town visiting family I will post something along those lines. I found this at the blogger American Thinker. 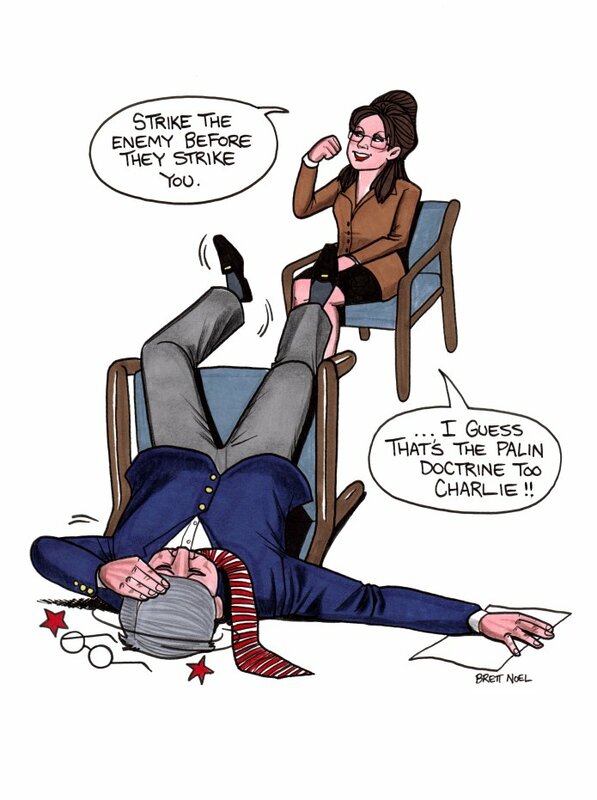 If you saw the interview of Sarah Palin by ABC’s Charles Gibson and you are a thinker you might enjoy the political cartoon below. That’s hilarious! I haven’t actually seen the interview yet, but I will. By the way, I’ve scheduled three pro-life voter’s issue videos in a cluster on my blog for tomorrow.